While the data in the survey may not represent the people who comments on the blog or are subscribed, most of the readers who read my blog are mostly female. 2. What do you like about my blog? These answers to this question were predictable considering that the aniblogosphere is crowded with too many episodic blogs. An overwhelming majority of the people prefers editorials (39%) and reviews (23%) opposed to episodic posts (19%). Design is not as an important factor since it’s more of a popularity thing. I have noticed this with some of my writing since its still a work in progress. I’m willing to improve my writing more since it’s one of my weaker skills. Considering when I started to blog, my writing was pretty bad until I steered away from hefty summary to mostly thoughts. In my recent episodic posts, I try to just analyze only few of the points in the episode that caught my interest. 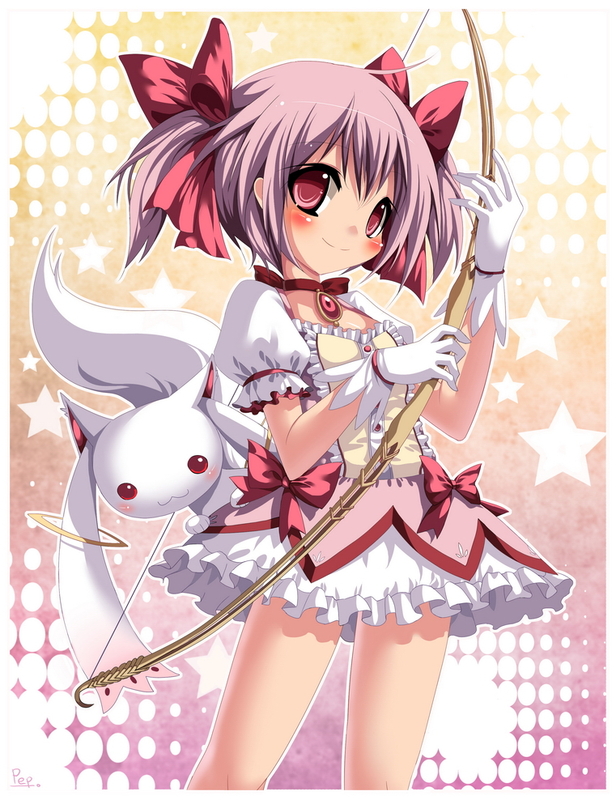 Since college is getting busier, I may write more editorials/impressions posts and reserve the episodic posts for interesting shows like Madoka Magica. While design is not an important factor, I might change the color scheme and tweak the theme to make it look better. Since reading the post two times may not be enough to catch all the errors, someone had suggested me to read over the post out loud. Seeing that doing this for episodics may be tedious, it will be the best option to solve majority of the grammar errors and I will try it out someday. This is going to be short since there are many different responses in favorite jpop artists and anime… so they will be available in PDF format. What Genre of Anime do you prefer? Majority of the people in this survey prefer Slice of Life, Action and Comedy Anime. Harem/Fanservice is the least favorite genre in this sample size of 14 people. This preference may be bigger if there was a bigger sample size. Majority of the people prefer subs to dubs with some who preferred both or don’t care about them. The preference to subs may have to do with the voice actors, honorifics, and/or the translation/script that the dub lacks. Yeah I think a design change might help you out, as for anime to review go with what you like! I love giant robots and action shows. I always get some entertainment from that, and the big debate always Subs vs Dubs. For me If I can get a show dubbed I always get drawn into watch it in that format. One example are the Gundam Unicorn ova’s they get released with duel audio, but for brand new shows Sub all the way otherwise I will be waiting for a year after release. The text in the Favorite Anime and Favorite JPop Artists PDF’s are whited out – you can’t read them. It’s an issue with Adobe Reader with the PDFs I made with the built-in PDF feature in Mac OS X. I’ll upload the fixed copies later. The design is a little too bright, but I like the choice of colors, though. I may go for a darker background color so it won’t be too straining to the eye. This also reminds me that I need to create a new banner for Spring. truth is I’m not very comfortable with the font. A little too crisp. I’m currently using Thematic so I can just tweak the design to make it look better… As for the font for the content, I might change it to a different web font. I just refuse to use the generic fonts like Arial, Trebuchet MS or Verdana… It drives me nuts! I should change my design soon too… It’s now 2011, and Twenty Ten is everywhere. Twenty Ten is okay if you create a child theme and spend the time changing the design of the CSS. Otherwise, it will be bland and generic. This is a reason I didn’t use Twenty Ten since everyone is using it. That’s some pretty good suggestions on improvement. I’d say take them with a grain of salt. The most important thing is being comfortable with your own writing style and content. p.s. Did not expect the way-more female readership.